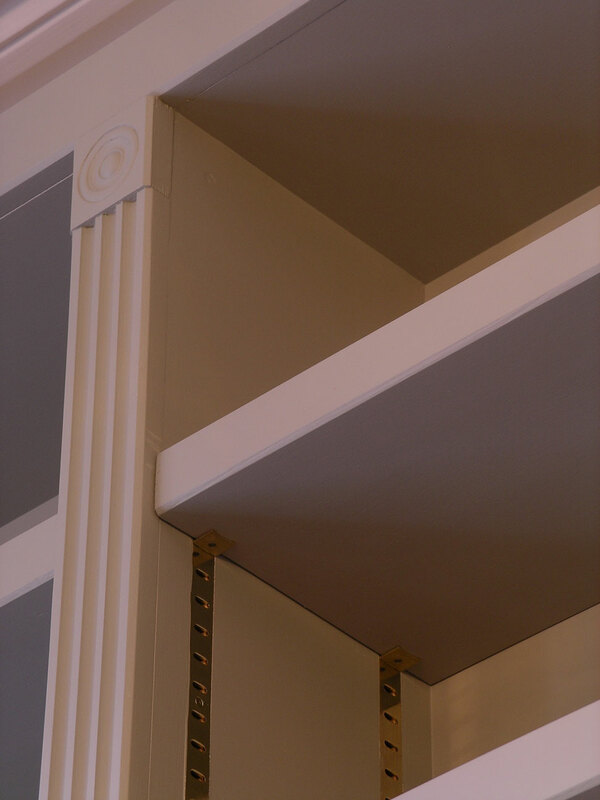 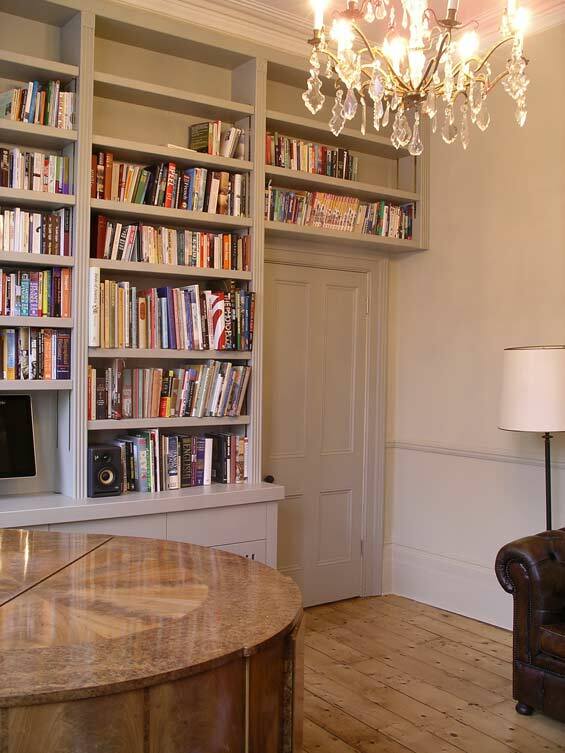 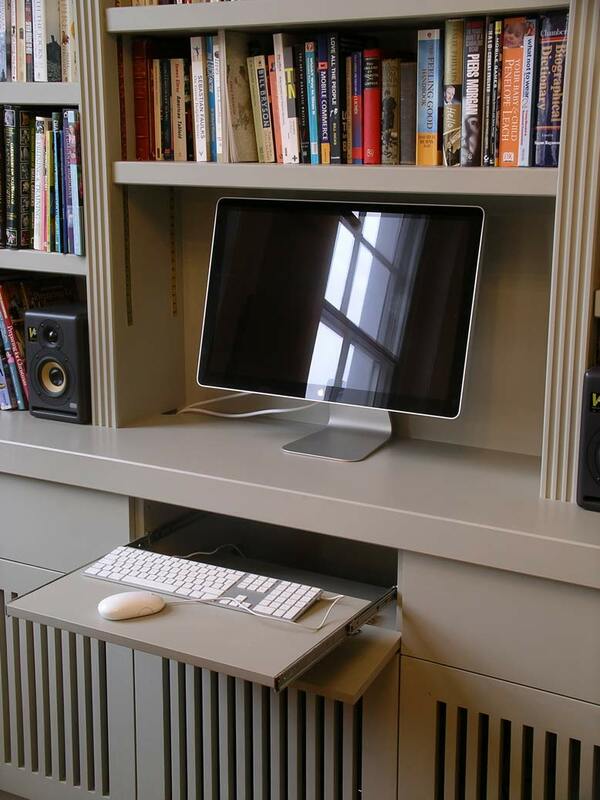 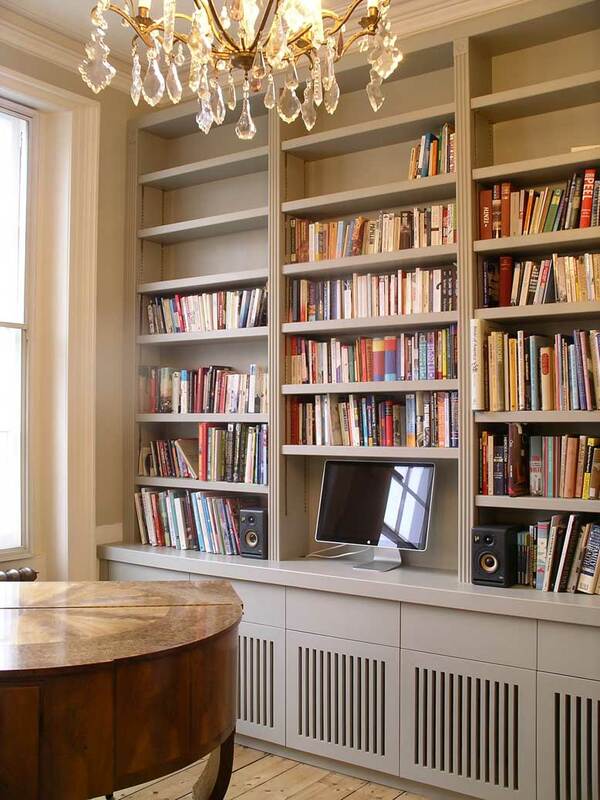 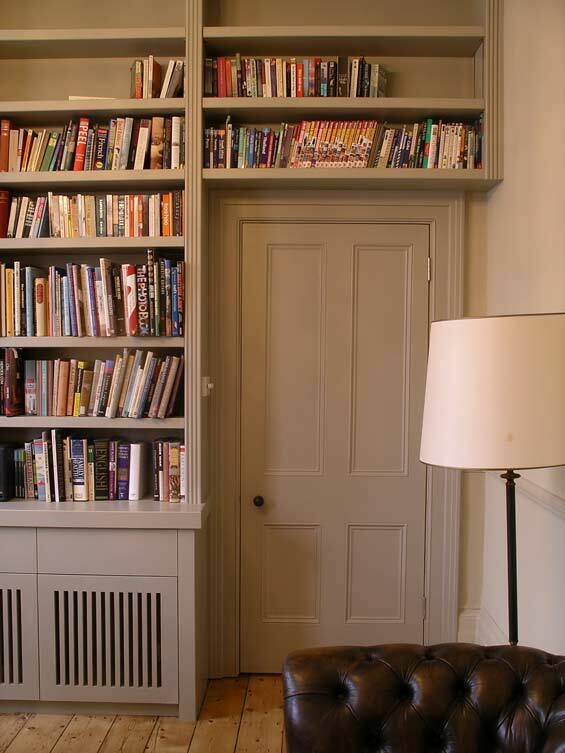 This bookcase has been designed to fit over the door and extend nearly up to the 15 foot high ceilings, providing ample storage for this library. 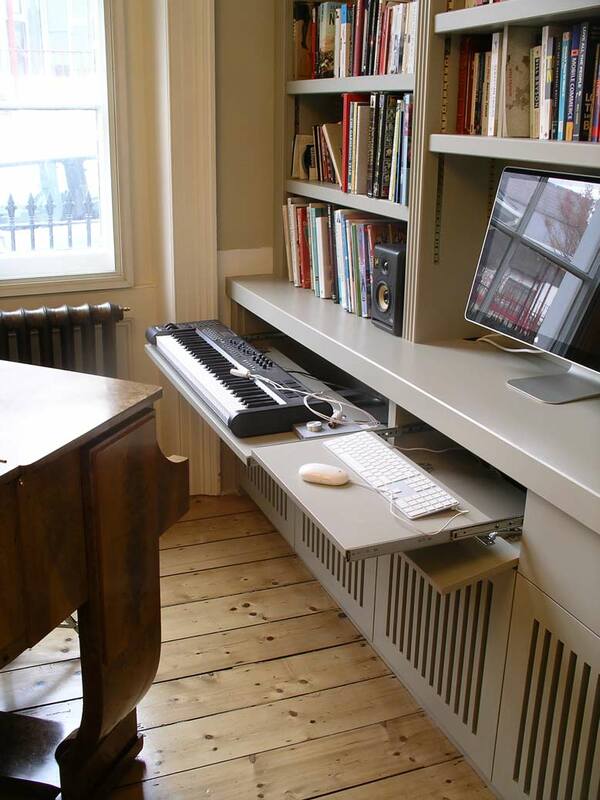 ...pull-out keyboard shelves on full extension runners. 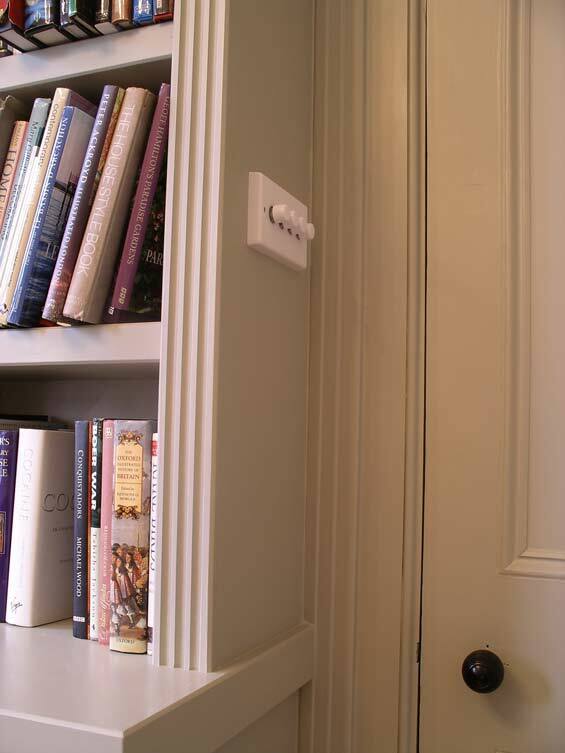 The room's light switches have been moved and built into the side of the bookcase.